Labrodrite Ball pendulum promoted wisdom and knowledge. It will keep you calm and soothe your mind. It will enhance your intuitive skills. 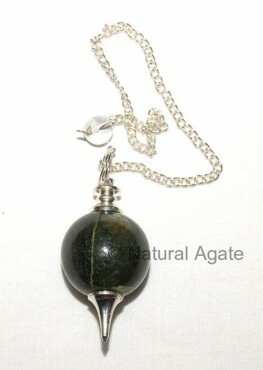 Available on Natural Agate, it is 20-50mm long.